With the Fourth of July quickly approaching we hope you’ve already reserved a Sunset Beach North Carolina vacation rental so you’re here for the celebrations. The closer we get to the holiday the harder it will be to find an available Sunset Beach North Carolina vacation rental. They’re just that popular! 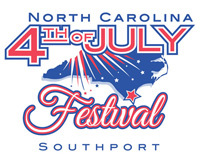 The NC 4th of July Festival Opening Ceremony will be held on Saturday, June 30 at 7:45 a.m. in Waterfront Park, Southport. The Festival Beach Day is a full day of activities on Oak Island. This year Beach Day will be held on Saturday, June 30. The fireworks display will be from the Oak Island Pier at approximately 9 p.m. The 2012 Veteran’s Recognition Ceremony will be held on Monday, July 2nd at 6 p.m. in the Southport Community Building. The ceremony will include displays, entertainment, food and a keynote speaker. Take a stroll down memory lane at the NC 4th of July Festival Car Show presented by the Cape Fear Cruisers. It’s called “Shine & Show”. The Classic Car Show will be held on Wednesday, July 4th from 11 a.m.-4 p.m. on Bay Street beside Waterfront Park in Southport. The NC 4th of July Festival Parade steps off at 11 a.m. on July 4th. The parade route begins at the corner of E. Moore Street and Atlantic Avenue, traveling E. Moore to N. Howe Street and following N. Howe to Fodale Avenue. Food concessions are located on South Howe Street, near the Waterfront Stage and are open during the days of the festival from 11 a.m. – 9 p.m. on July 1st, and 11 a.m.-10 p.m. on July 3rd and 4th. There are also food vendors located in Franklin Square Park on East West Street.